Summer is hitting up and our clothes lengths are shortening too. It is time to arrange your suitcase and start looking for the refreshing sea breeze. So, that’s why we are helping you today with our Mediterranean Itinerary Guide for Summer with our top 10 front-sea hotels choice. Immersing yourself in the tranquility of mother nature and Italian elegance may be the way you get away from the city and reward your hard-working past months. Anyone who knows Capri knows there are actually two Capris: the mass-tourist-souvenir landscape and the private, breathtaking one where JK is located. Its panoramic view of the Mediterranean allows you to free your soul overlooking the beach of Marina Grande near the Amalfi Coast. It lies on the seaward side of the road that climbs up to Capri town from Marina Grande; the colonnaded bar terrace skims across the Bay of Naples to the misty blue bulk of Vesuvius. — Michele Bonan, JK Place Interior Designer. In a place like Santorini a skillfully applied language of Architecture and modern Design is needed in order to highlight the beauty of the island without trying to upstage it. Richard Lefebvre of Bleu Nature studio created a successful fusion of comfortable luxury and traditional Cycladic style, in which all architectural elements are perfectly aligned with the landscape and spirit of the island. 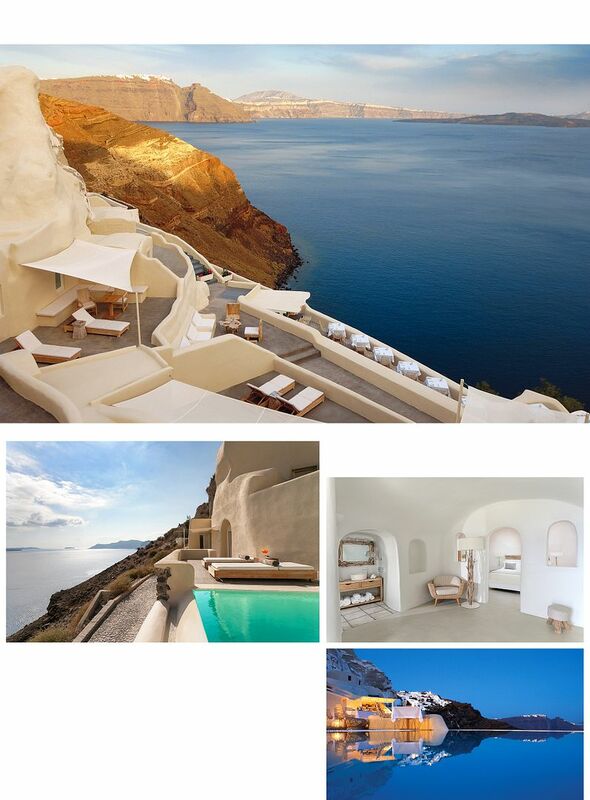 Mystique is located far from the tourist track, and is one of the most private and secluded places in Oia. Its eighteen cozy suites and villas provide guests with spectacular views of Santorinian caldera. Another nod to the island’s past is the 150-year-old wine cellar, where guests can come for wine tasting, while at the Charisma restaurant guests are served sophisticated dishes with fresh local ingredients. Aura Bar by the infinity pool is a perfect place to enjoy the famous Santorini sunsets. Sitting on a quiet road at the rocky tip of Cap d’Antibes, the hotel is a 10-minute drive to the Musée Picasso in the Château Grimaldi. It is 30 minutes by car to Cannes and 35 minutes to Nice. Occupying a 19th-century chateau, the iconic hotel is surrounded by meticulously groomed gardens and century-old pine trees on the French Riviera. 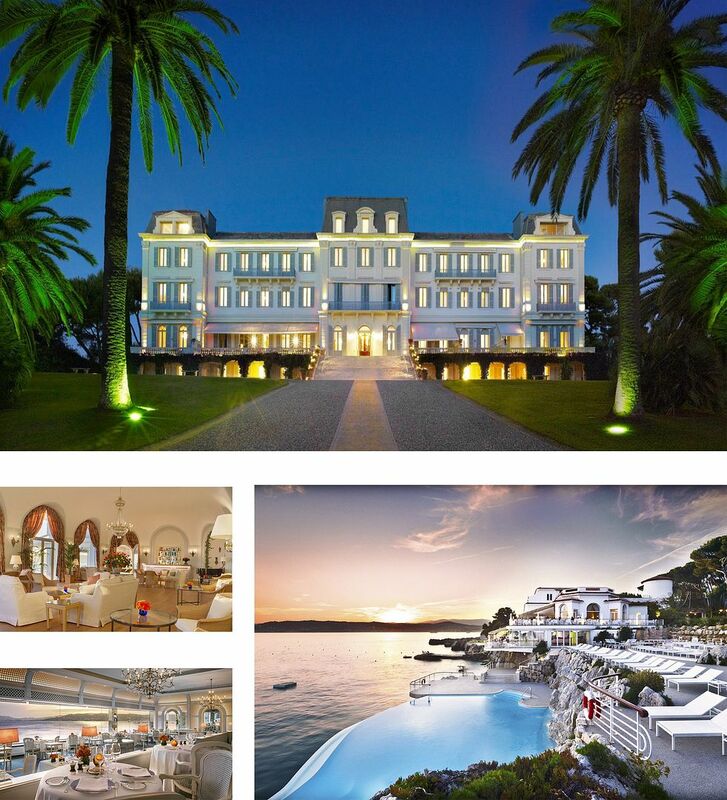 The incredible views of the French Riviera are best taken in from the iconic heated seawater swimming pool carved into the rock face – or while basking in the warm Mediterranean sun in one of the quintessential, rustic seafront cabanas with classic architectural lines, sumptuous Louis XV and XVI furnishings, gilded mirrors and chandeliers. 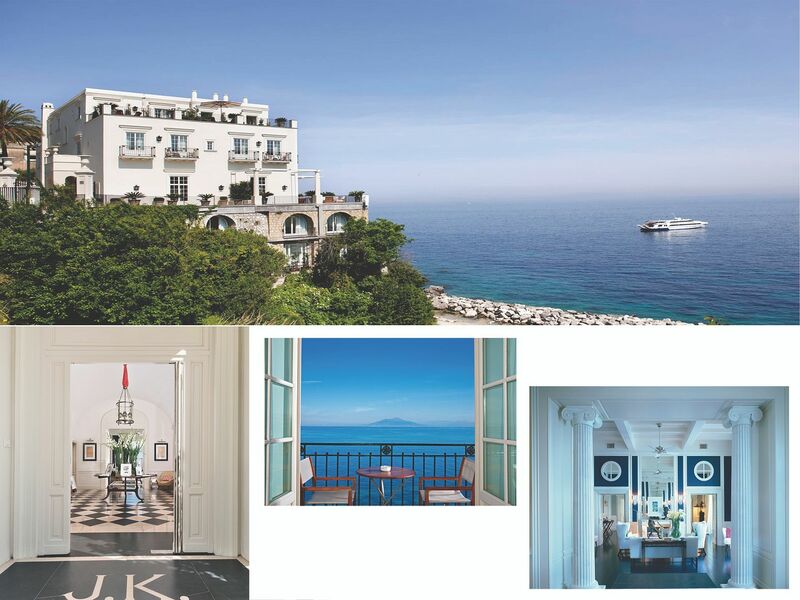 A former Sersale family summer house, le Sirenuse first opened in 1951 and over 60 years later, this Moorish baroque property remains firmly ensconced in the heart of the Sersale family, retaining its leading position as one of the finest luxury hotels on the Amalfi Coast. 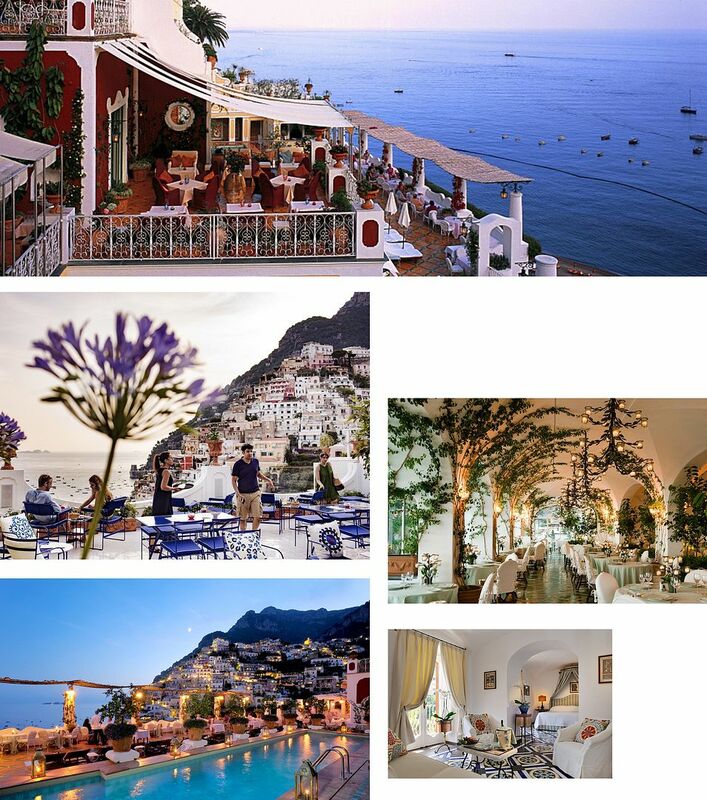 The hotel nestles in the heart of Positano with very much an ambience of private residence boutique chic. Old paintings and prints adorn the whitewashed walls, while antiques and period furnishings complement the public areas and (mostly sea-facing) rooms, with handmade tiles and vaulted ceilings adding character. The Michelin-starred candlelit restaurant La Sponda is a delightfully romantic setting for dinner of Neapolitan-inspired cuisine, preceded by drinks on the lemon-scented pool terrace or in the Champagne and Oyster Bar. Enjoy an al fresco refreshment in newly-opened Franco’s Bar, a fabulously stylish bar set on a small terrace above the hotel and named after the owner’s late father. In the heart of the French Riviera, the beautiful town of Saint-Tropez has come to be known for rows of private yachts lining the quay and a stream of movie stars. It is the region’s natural beauty that attracts them, of course. Here, Shahe Kalaidjian and Christophe Pillet have crafted their beautiful second collaboration. With their first—Hôtel Sezz Paris in the city’s 16th arrondissement—they developed a language of their own. 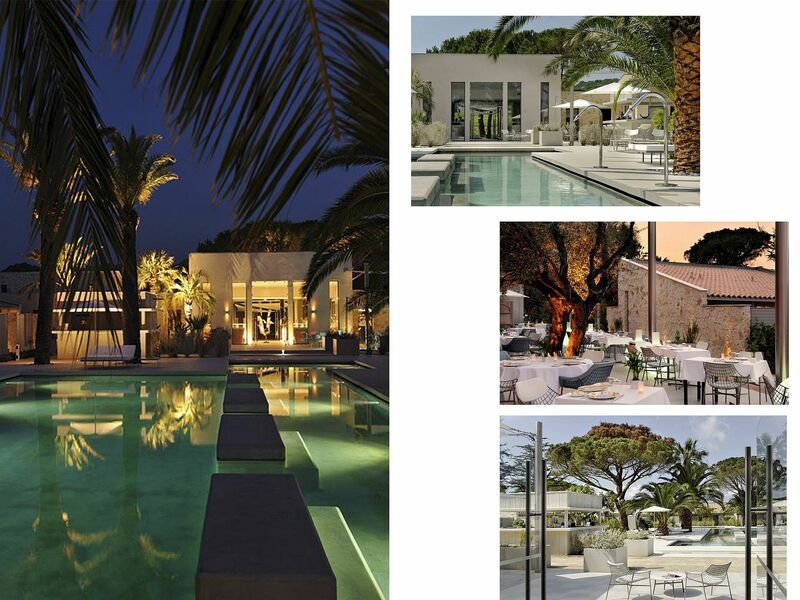 In Saint-Tropez, they translate it from an urban lexicon into one that exudes the ultimate in luxury vacation. The designers have combined provincial French design with minimalism inspired by the likes of Philippe Starck. The result is a mix of contemporary and polished elegance. Consistency in materialism has been maintained throughout the hotel. Situated on the town’s Route des Salins, the hotel is built of light and air—guests can smell and feel saltwater and warm breezes from their beds. With 37 elegantly-appointed guestrooms and villas engulfed by a lush wooded park and a swimming pool at its hub, Sezz Saint-Tropez is as warm and inviting as it is fresh creative vision. The Hotel&Spa Des Pêcheurs is the result of a clever synthesis between respect for the nature of the island and the desire for intimacy to its guests. The unique charm of the island of Cavallo immediately enchants visitors. The soft white sand that invites you to tan, wonderful dark blue water, the scent of myrtle and juniper that spreads through the air: all harmonic to provide unforgettable emotions. The hotel is a calm and serene place that definitely mark its customers to one or more nights. 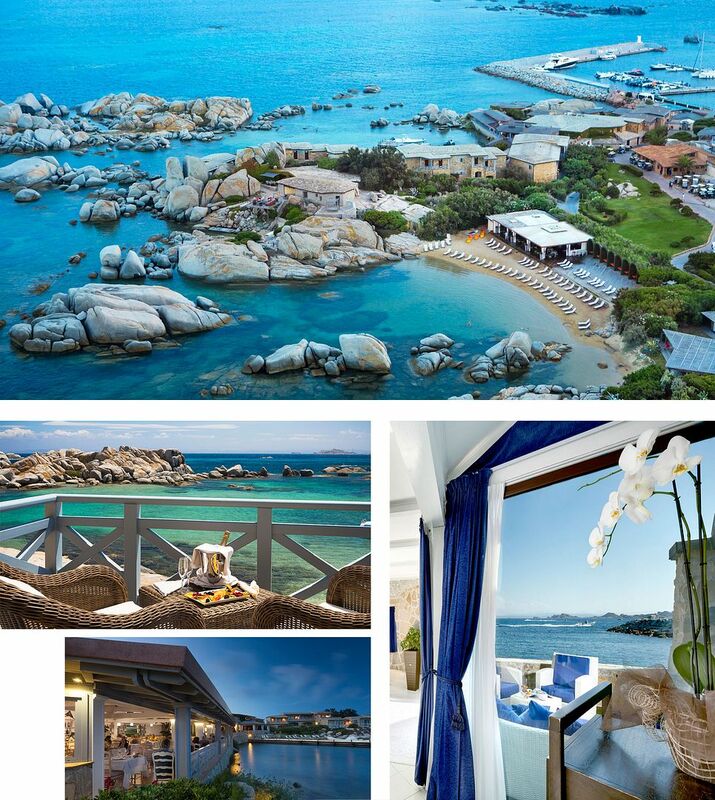 Between Corsica and Sardinia, the island extends over a kilometer and is the jewel of the archipelago of Lavezzi. The hotel, the only of the island, is surrounded by summer homes of the international jet set, guaranteeing more security and serenity and privacy. Only bicycles and electric cars are allowed to circulate in order to preserve the purity and fragrance of the air. 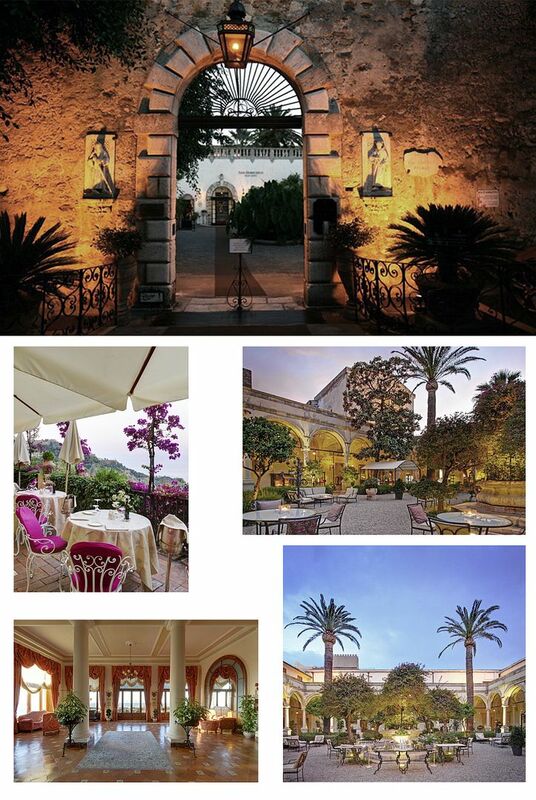 With a setting so captivating and views to die for it’s easy to see why a noble Catanese family lovingly transformed this 15th century monastery into the luxury Hotel San Domenico Palace that stands today. Balanced on the slopes between Mount Etna, Taormina’s ancient Greek theatre and the Ionian Sea, it has stunning views of all three. Large formal gardens laid out with walks of jasmine, rosemary, hibiscus and flowering trees provide a range of idyllic nooks for reading or quiet contemplation. All this, coupled with a refined elegance and tradition, are just a few of the highlights that spring to mind. The ME Ibiza by Melià is right by the sea between the resorts of Santa Eulalia and Es Canar on the east coast, around eight miles from Ibiza Town and 14 miles from the airport. It is all sleek modernity here. White is the predominant colour with contemporary artworks providing vivid splashes of color. 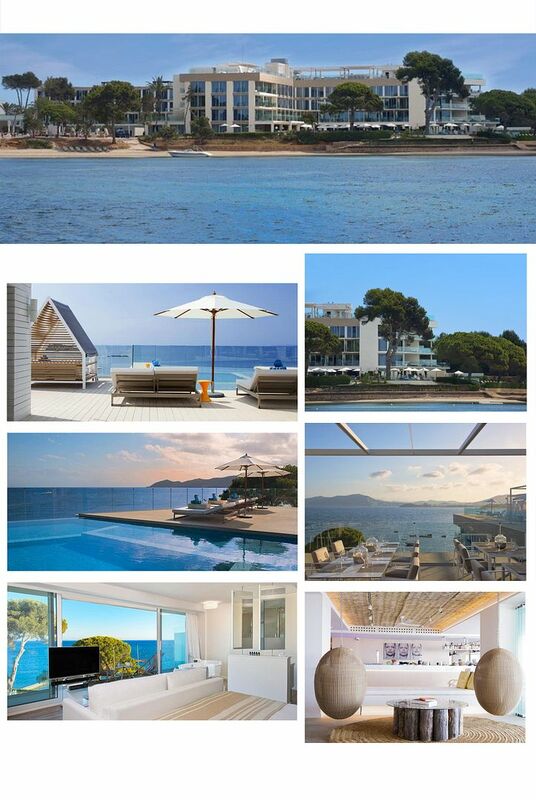 The five-star ME Ibiza encompasses all the fun of the coolest Balearic island in a setting of laidback luxury. There’s a romantic rooftop restaurant, three pools and a SkinC spa, while activities include synchronised swimming, yoga and DJ sessions. Set on a hilltop, amid olive groves, vineyards and cypress trees, the location is hard to beat. This region is steeped in mythology, with several important archaeological sites, including the Sanctuary of Asclepius at Epidaurus and the citadel of Mycenae; Spetses and Hydra are within easy reach; and there’s a super-chic Beach Club on the coast just below. 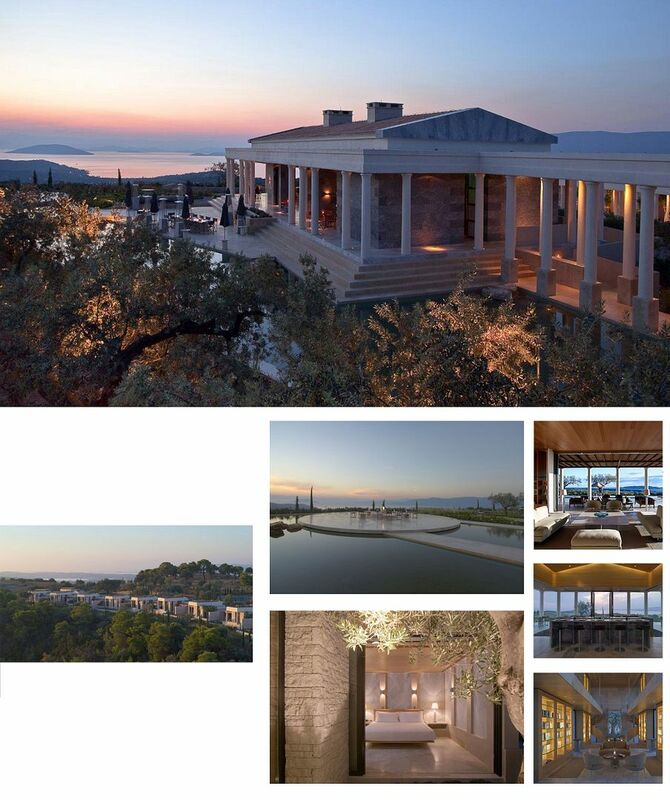 A Doric-columned, marble-hewn hilltop homage to classicism that could wow the most demanding of deities with its serene, herb-scented setting, 360-degree views, private beach club and stress-banishing spa. Amanzoe is an ultra-exclusive resort with an emphasis on health and wellbeing. Though undeniably glossy, this is not really a resort in which to see and be seen – some guests only emerge from their pavilions to watch the sunset or to borrow a book from the 1,000-volume library. Perched high on the hills overlooking the beaches of Costa Blanca, the Barceló Asia Gardens is a unique resort designed to bring a taste of South East Asia to our doorstep. With a setting reminiscent of the lush tropics of Asia, this is easily the best place to go when craving far eastern exoticism close to home. With an outstanding design and characteristic decor, this resort isn’t your typical five-star hotel. Here, you’ll find over 20,000 seasonal flowers fill its tropical gardens — from colorful frangipani to exotic birds of paradise and fragrant hibiscus. Walking through the gardens almost immediately transports you into the heart of Asia. From afar, the rose-red hotel buildings resemble quaint terracotta houses that blend seamlessly into the natural surrounding. Upon entering the main lobby, the sky-high ceiling creates a wow effect, while the rattan fans, bamboo walls and antique furniture exude a zen atmosphere. Each of its 311 rooms is elegantly designed with white linen, grey granite tiles and high-end teak furnishing. Asia Gardens definitely hit the spot with its array of facilities, including seven restaurants and six swimming pools on the property itself. 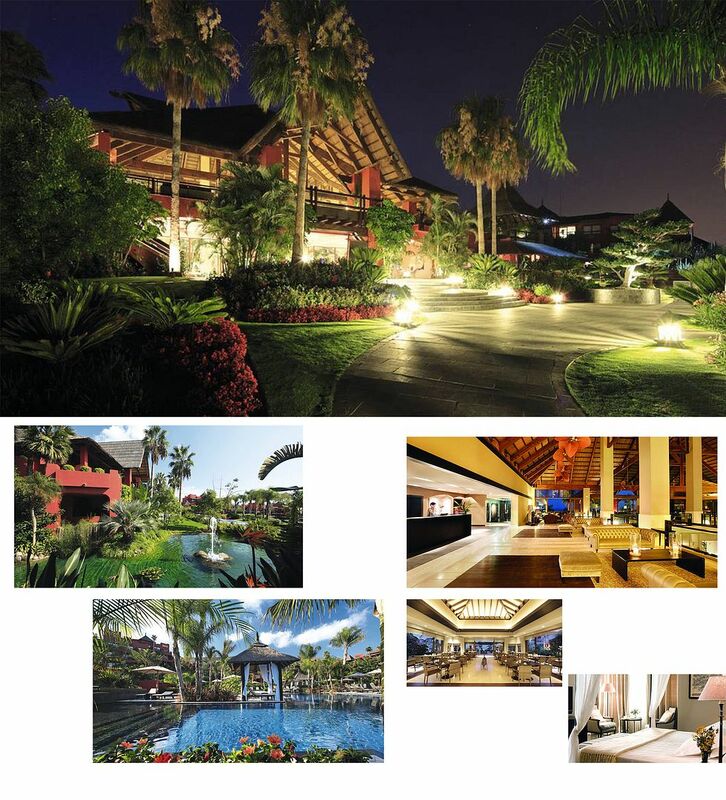 Also, the Thai Spa that forms an important part of the resort is also worth a visit. Which would you choose for your summer destination ? MALDIVE | LOAMA RESORT AT MAAMIGILI. ST. BARTH – HOTEL CHRISTOPHER. TAORMINA. NASTRI D’ARGENTO 2014 CON HAMILTON. Courmayeur. Snow Golf photo diary. Ginevra. La nuova collezione di orologi Audemars Piguet all’Sihh. LOS ANGELES. Hamilton Behind The Camera Awards. Porto Cervo. Audemars Piguet event. BASEL and ZURICH. THETHREEF ad ART BASEL. Venezia. Il cocktail di Art Basel al Caffè Paradiso. Lago di Garda. Un weekend al Lefay Resort. Roma. Un cocktail con Novak Djokovic e Audemars Piguet. Roma. Internazionali d’Italia di Tennis. Roma. Relax in piscina al Cavalieri Hilton. Sydney. Ermenegildo Zegna closing night event. da BRESCIA a VERONA. AROUND ITALY FOR 1000 MIGLIA. giorno 2.
franciacorta. MILLE MIGLIA con ACQUA DI PARMA. ALBERETA RESORT + cena di gala. giorno 1.
da verona a bologna.ON THE ROAD. MiLLE MIGLIA DAY 1.
wow cant wait to experience them all myself ! thanks for sharing them !